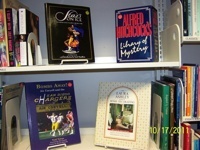 On Saturday and Sunday October 29-30, 2011 the Friends of the Carlsbad Library will be holding their Better Books Sale in the Georgina Cole Library Community Room at 1250 Carlsbad Village Drive. This is a unique opportunity to choose from hundreds of new and nearly-new coffee-table, art, travel, history, nature and other fine volumes, as well as a variety of children’s books and recent popular novels, both to enjoy now, and to consider for holiday giving. The Better Book Sale is open from 9 AM to 4 PM on Saturday and from 1 PM to 3 PM on Sunday. Get there earlier for the best selection. And remember, soon books may not even exist anymore. Might as well enjoy them while you can. Follow the jump for more information. Fall is here with its shorter days and longer evenings – more time to enjoy a favorite pastime, reading a good book. And to broaden our reading choices, the Friends of the Carlsbad Library are eagerly selecting the very best from all the books donated this year to the Friends used book store. This selection of special volumes will be offered for sale at a fraction of their retail prices during the Better Book Sale on Saturday and Sunday, October 29-30 in the Community Room of the Georgina Cole Library, 1250 Carlsbad Village Drive. The sale hours are 9 a.m. to 4 p.m. Saturday and 1 p.m. to 3 p.m. Sunday. For previous sales there has always been a long line of people waiting eagerly for the opening moment – but the rich variety of subjects and types of books always ensures something appealing and available to everyone throughout the weekend. Proceeds from this event go toward the purchase of library books and materials and to help fund library programs, such as the Summer Reading Program for children and Carlsbad Reads Together, the annual community-wide reading event that takes place every April. 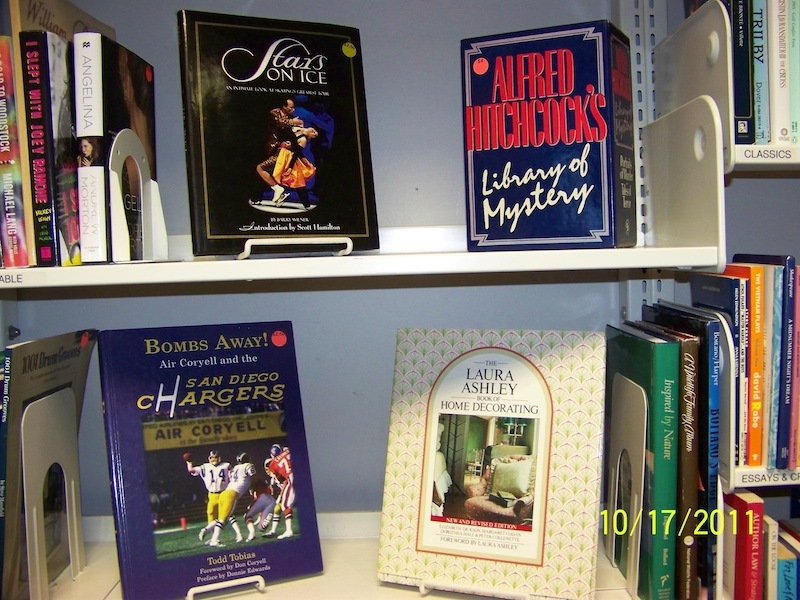 In addition to hosting special sales throughout the year, Friends of the Library volunteers staff the book store at the Carlsbad City Library, 1775 Dove Lane and offer used books and magazines for sale all year long at the Georgina Cole Library. To donate books and magazines, please bring them to the check-out desk of either library or place them in the donation bin near the Dove Library’s service entrance on the south side of the building. Some donated items go into the library’s collection while the rest are sold by the Friends, who raise more than $100,000 a year for library programs and materials. If you have a Carlsbad news story, press release, event, rumor, or scandal that we'd be interested in (and there are a lot of them), please click the link to send them to The Editors. Or just search the site to see if we've mentioned it before, right here. Stella C. on Carlsbad Cancer Cluster?